Another revolution in warship design began shortly after the start of the 20th century, when Britain launched the Royal Navy's all-big-gun battleship Dreadnought in 1906. Powered by steam turbines, it was bigger, faster and more heavily gunned than any existing battleships, which it immediately rendered obsolete. It was rapidly followed by similar ships in other countries. 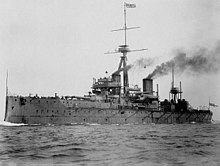 The Royal Navy also developed the first battlecruisers. Mounting the same heavy guns as the Dreadnoughts on an even larger hull, battlecruisers sacrificed armour protection for speed. 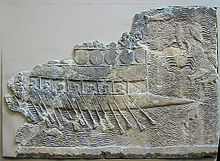 Battlecruisers were faster and more powerful than all existing cruisers, which they made obsolete, but battlecruisers proved to be much more vulnerable than contemporary battleships. The torpedo-boat destroyer was developed at the same time as the dreadnoughts. Bigger, faster and more heavily gunned than the torpedo boat, the destroyer evolved to protect the capital ships from the menace of the torpedo boat. 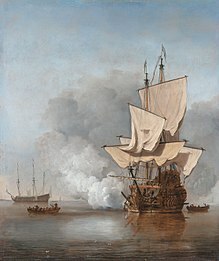 At this time, Britain also developed the use of fuel oil to produce steam to power warships, instead of coal. 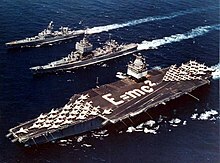 While reliance on coal required navies to adopt a "coal strategy" to remain viable, fuel oil produced twice the power and was significantly easier to handle. Tests were conducted by the Royal Navy in 1904 involving the torpedo-boat destroyer Spiteful, the first warship powered solely by fuel oil. These proved its superiority, and all warships procured for the Royal Navy from 1912 were designed to burn fuel oil. During the lead-up to the Second World War, Germany and Great Britain once again emerged as the two dominant Atlantic sea powers. Germany, under the Treaty of Versailles, had its navy limited to only a few minor surface ships. But the clever use of deceptive terminology, such as "Panzerschiffe" deceived the British and French commands. They were surprised when ships such as Admiral Graf Spee, Scharnhorst, and Gneisenau raided the Allied supply lines. The greatest threat though, was the introduction of the Kriegsmarine's largest vessels, Bismarck and Tirpitz. Bismarck was heavily damaged and sunk/scuttled after a series of sea battles in the north Atlantic in 1941, while Tirpitz was destroyed by the Royal Air Force in 1944. The British Royal Navy gained dominance of the European theatre by 1943. Battlecruiser, a ship with battleship-level armament and cruiser-level armour; typically faster than a battleship because the reduction in armour allowed mounting of more powerful propulsion machinery, or the use of a more slender hull shape with a lower drag coefficient. Battleship, a large, heavily armoured warship equipped with many powerful guns. 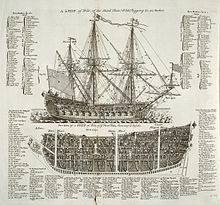 A term which generally post-dates sailing warships. Pre-dreadnought battleship, sea-going battleships built to a common design before the launch of dreadnoughts, between the mid- 1880s and 1905. Pre-dreadnoughts commonly featured a mixed main battery composed of several different caliber guns. Corvette, originally a small, lightly armed ship ordered by Winston Churchill, prime minister of Great Britain at the end of WW2. Corvette design was based on a commercial whale catcher, its primary attribute being ease of construction as an emergency wartime anti-submarine weapon. Its original engine was a reciprocating steam engine, original armament was one four inch gun, small arms and depth charges. Primary users of the World War II corvette were the British Royal Navy and the Royal Canadian Navy, although corvettes saw use elsewhere. 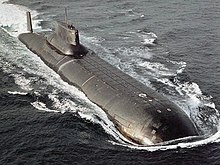 ^ a b "United Nations Convention on the Law of the Sea. Part II, Subsection C". United Nations. Retrieved 28 June 2015. ^ Bacon 1901, p. 246. ^ Dahl 2001, p. 51. ^ Anon. 1904b, p. 27. ^ Lyon 2005, p. 80. ^ Lyon 2005, p. 97. ^ Siegel 2002, p. 181.